Priced below tax value. Come Share the Vision! Be the one that make this ranch on the 18th fairway of Cramer Mountain Country Club a masterpiece. Bring your architect or have designers revive the front elevation to make it one of a kind. Extend the kitchen into the large family room making it the focal point for entertaining and family gatherings. Make that 13 x2019;X 18 x2019; master bath a place to retreat and relax. Lots of recessed lighting and site finished hardwood floor already in place. There are five bathrooms and three masonry fireplaces. Finish the basement as a man cave with the existing wine cellar. There are endless possibilities with an unlimited upside in this location. Five baths total, 4 up, 1 down. Wet bar. Built-ins. Lots of natural light thanks to lots of windows and multiple skylights. 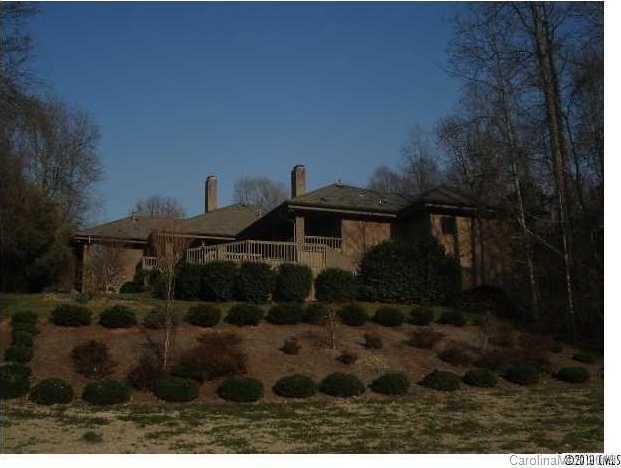 Please, send me more information on this property: MLS# 3467447 – $450,000 – 309 Mayworth Way, Cramerton, NC 28032. I would like to schedule a showing appointment for this property: MLS# 3467447 – $450,000 – 309 Mayworth Way, Cramerton, NC 28032.